There are many ways to increase revenue for your business. One of them is to evaluate and improve the success of your company’s website in search results. SEO (Search Engine Optimization) is the practice of optimizing a website so that it achieves higher organic rankings on search engine sites like Google, Yahoo and Bing. 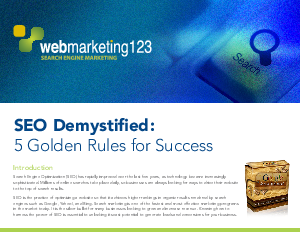 In fact, according to the 2009 Forbes Ad Effectiveness survey, SEO is the most effective marketing channel today.